You've packed the swimsuits, floats, safety vests, caps, goggles, kids, and snacks for a summer afternoon at the lake or neighborhood pool, but what about the earplugs? Ears and moisture don't always mix. 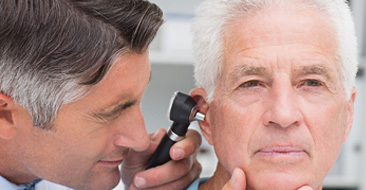 Otitis externa, an outer-ear infection also known as "swimmer's ear," is typically caused by bacterial or fungal growth when the skin in the ear canal potentially becomes irritated from activities such as swimming. Though treatable, the condition can lead to temporary hearing loss and other problems, so prevention matters. Using quality, properly inserted earplugs helps keep the water ó and the threat of infection ó out of your ears. It's always nice to have options, and swimmers' earplugs are no exception. They come in disposable, reusable, and custom-fit varieties and can be made from silicone or putty. Off-the-shelf earplugs are often readily available at local drugstores, but your local audiologist can create a better-fitting, washable set tailored to your unique ears. Take heed: Swimmers' earplugs are not the same as hearing-protection earplugs and should be used only for water protection. Earplugs can be your best friend when it comes to protecting your ears in water, but did you know they're not just for swimming? That's right! Folks who work outside in the heat all day, for example, can also use earplugs to keep the sweat away, so it's good to have a couple extra pairs at home, the job site, or other convenient storage spots. Remember: If your ears have a chance of getting wet, protective earplugs are one of your best bets. You might think swimmers' earplugs are just for grown-ups. Not so fast! Water in the ears can also pose a problem for kids, who are typically more vulnerable to ear infections than adults. Inserting earplugs before a swimming session or at bath time, keeping your child's ear canals clean, and drying the ears after any amount of time in the water or other moist environment can help curb the risk of infection. And remember: Always use clean hands when inserting earplugs into your or your child's ears. 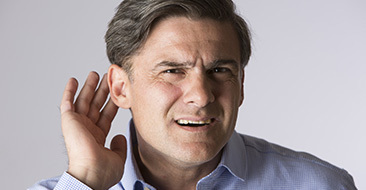 Are you concerned about protecting your or your loved ones' ears? Contact our caring team to schedule a complimentary hearing-protection consultation today. We're happy to help with solutions for the whole family!